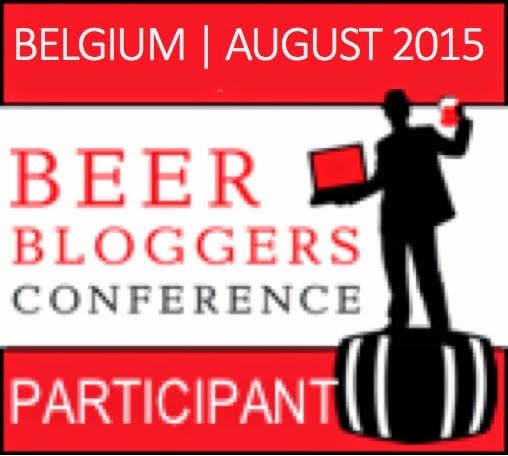 I am spending today catching up with CAMRA admin. Firstly I must finish analysing my batch of the survey forms from the Great British Beer Festival. 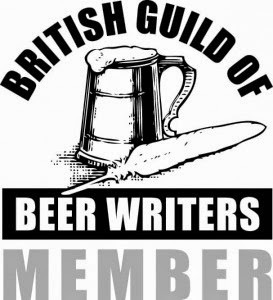 I did most of them months ago but am really late with the final section - Thursday evening, CAMRA members. However many chairs and tables are put out at Earls Court - and we increase it every year, the most regular comment always seems to be "more seating needed". Then I really must deal with some of the 114 emails that are in my to-do list - some of them simply requests for a good pub in London to visit - perhaps my stock answer should be to buy a Good Beer Guide but I do try to be a bit more specific if someone has taken the bother to contact us. Finally I have failed to distribute many of the beer scoring cards that arrive on my plate to branches so I must try to enter the most recent ones into the system myself - as many branches are now deciding their pubs to include in next years book. After all of that, I may treat myself to a visit to the gym (sic) and then a pint or two in one of my favourite pubs. The South West London branch of CAMRA is blessed with a number of very good pubs and have recently announced their short list of the eight best pubs for this year. The winner will be announced at Battersea Beer Festival on Thursday 12 February 2009 following a ballot of all branch members. They are all well worth a visit. The following descriptions are lifted from the SW London branch website where you can also find more details of Battersea Beer Festival. The Priory Arms, a frequent previous winner, is an independent freehouse in Stockwell, to the south of the Wandsworth Road. Popular with regulars and students the pub serves four changing guest beers, often from microbreweries, alongside Hopback Summer Lightning. An excellent local on St John's Hill, serving London Pride, ESB and a changing guest. The beer is always on superb form and the quiet, friendly atmosphere makes for a pleasant experience. A dog friendly haven in a side street off fashionable Northcote Road, serving a range of changing guest beers, often including one or more from the Westerham Brewery in Kent. A landmark pub close to the main exit from Clapham Junction with historic interior features, now offering a wide choice of real ales from the M&B list, including for example Harvey's and Beartown. The ‘bird’ is like a country pub in London and easily the best in the Balham area. It is very well looked after by people who really care for their Young’s beers, and also raises huge sums for charity with its famous annual walk. There is a family conservatory at the back and you are always assured of a warm welcome. Our 2006 winner and the 2007 Greater London CAMRA Pub of the Year, this is a homely, family owned independent freehouse in Putney, a community local offering the full range of Timothy Taylor’s beers, guests from microbreweries and a real cider or perry. Our 2005 Pub of the Year winner is an old, traditional, compact, community local, with a small patio leading to a delightful enclosed garden. Friendly and welcoming licensees look after the pub, the customers and the beers: Young’s Bitter and Special always in excellent condition. A previous South West London and Greater London award winner renowned for the quality of its Hop Back beers and others, is more of a village pub than back street boozer, with engaging bar staff and a warm and friendly atmosphere. My benchmark for a good breakfast is four pints before noon. I only manage it a couple or three times a year but today was one of those days when I was invited to the launch of the book to tie in with the BBC TV series, Oz and James Drink to Britain. A 9.30 start at the Market Porter in Borough Market was an early start and the pub was soon heaving with media and PR types together with a sprinkling of brewers, beer writers, journos and the two stars, TV's Oz Clarke and James May. Old Slug Porter washed down with sausage and bacon sarnies made a perfect start to the day. The two presenters sat together in the corner signing books and generally having a bit of a laugh. Upon being told I was from CAMRA, Oz wrote in my book "Keep up the battle, we're winning" which was interesting, written by a guy who has made a good living as a wine connoisseur. James wrote "Grow a beard !" The book itself is a £19.99 hard cover (but nobody pays full price anymore do they ? ), well presented with good colour photography and printed on quality paper but it is a little thin in content. It is a fun but quick read; a hard copy, consistent record of the TV series but adding very little more. Yesterday, I took a trip to Waitrose to check the details of my previous post only to find that the two Meantime beers mentioned had increased in price to £3.99 for a 75cl bottle. On reflection, I guess that the price of £2.66 before Christmas was a 3 for 2 offer (yes, I can do the maths) although it was not advertised as such. £3.99 is still good value (in my opinion) for beers of such quality - and strength - but obviously not the bargain that I suggested - Sorry. Meantime have not had much CAMRA recognition over the years as they supply very little cask beer to pubs even though pretty much all of their bottled beer is "real". They are a brewery that CAMRA London tries hard to support within those confines and hopefully we will see some more of the excellent cask versions at some beer festivals in the coming year. One of the highlights of my Christmas was finding two of the best bottled beers around at my local Waitrose at a very keen price. Large (750ml) corked bottles of Meantime London Porter and Meantime India Pale Ale are now sold in Waitrose at £2.66 a bottle. Considering I just paid close to £10 for similar bottles from Lost Abbey, admittedly imported from California, I thought £2.66 an absolute bargain and "filled my boots". Meantime London Porter is brewed at 6.5% to a 1750 recipe using seven different malts and fuggles hops. It is a ruby coloured, dark beer and is bottle conditioned giving rounded coffee flavours and aromas. Meantime India Pale Ale is also brewed to a traditional recipe at 7.50%, with maris otter malt, fuggle and golding hops. Hop levels are high but not too overpowering. The beer is also bottle conditioned, slides down smoothly and has a long fruity aftertaste. Both of these beers are among the best available on the supermarket shelves and I commend them to your attention. Each one is not too much of a belly full in one sitting but they are also perfect for sharing. Meantime are experts in brewing traditional style beers for the adventurous beer lover. These are not bog standard beers, they are crafted with care and attention to detail and at this price they are a steal. Today it was announced that the Stag Brewery in Mortlake would probably close in 2010. Here is a posting from this blog last August that flagged that this was a possibility. Although that post now looks spookily accurate, I did not need the foresight of Nostradamus to guess that this might be an eventuality. "Campaign group CAMRA said that although the brewery had not made any real ale for some time, it was still a "sad day" for the industry." Luckily for me, my phone was out of battery all day and my office email had an ISP problem, so I was uncontactable. Otherwise there may have been a slightly different CAMRA comment. Any tears should be shed by The brewery History Society. The Mortlake Brewery has been irrelevant to real ale drinkers wholly for 20 odd years when it has been a lager plant and for the 20 years prior to that it was real ale from Watney that was brewed here. My personal view is that although it is a further loss of London's brewery heritage, it is of no consequence to the real ale drinker in the 21st century and we should continue to champion and support those breweries, large and small, who continue to supply good, tasty beer to our excellent pubs.